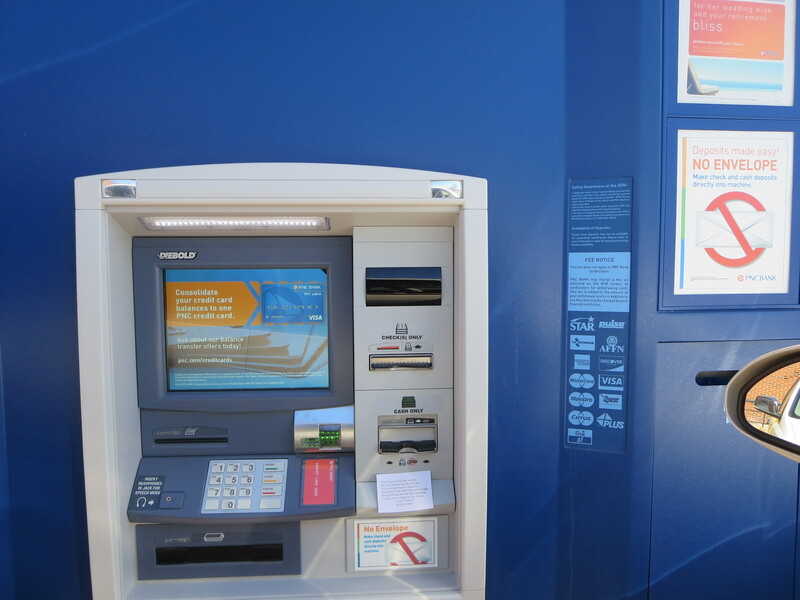 I wanted to redeem myself after my last post (see comments section), so I headed back to the ATM. 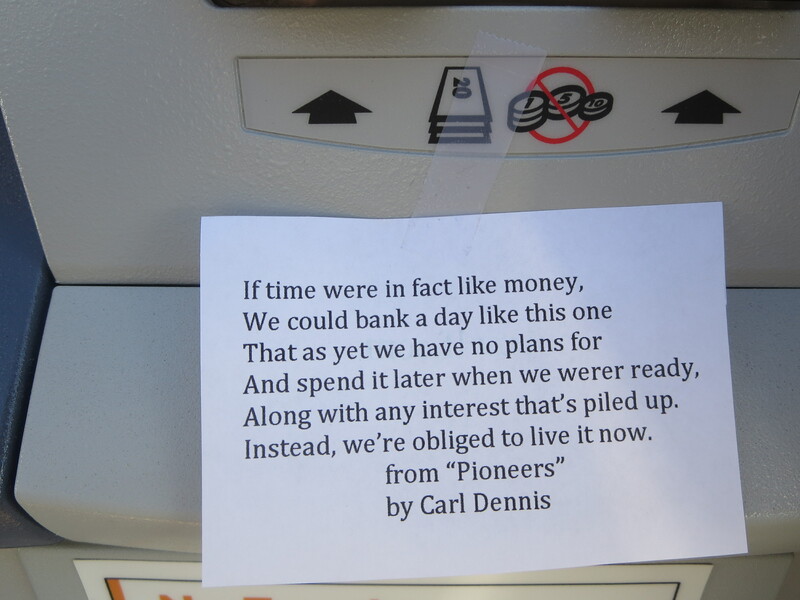 Different bank, different poem, different outcome. 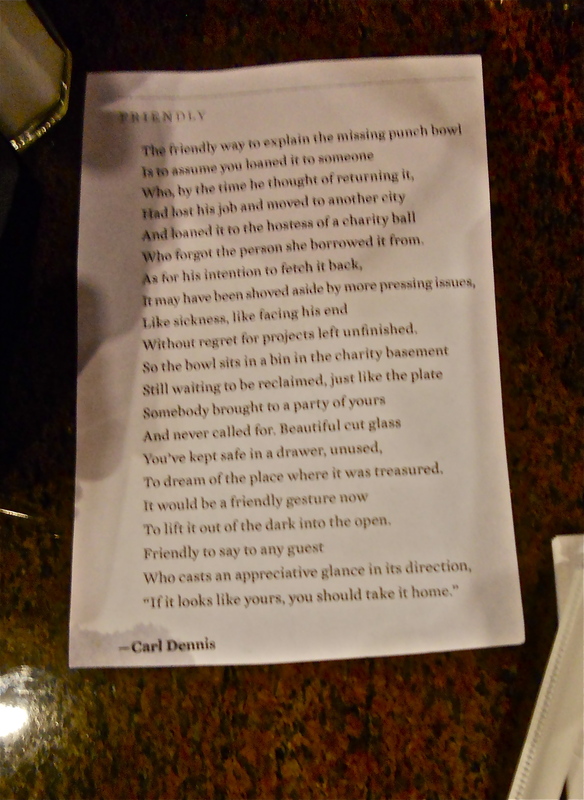 I taped an excerpt from a poem by a Poem Elf favorite, Carl Dennis. You can read the complete version of “Pioneers” here. 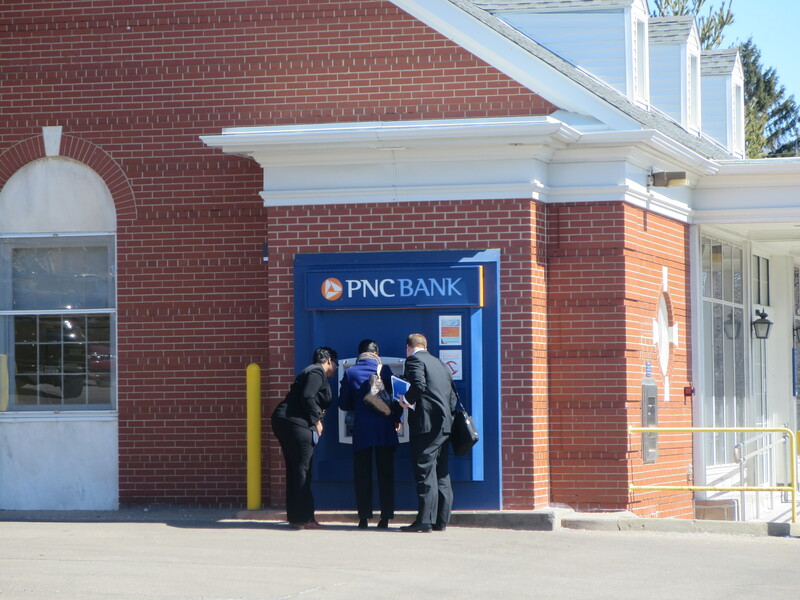 After I taped the poem, drove around the ATM to photograph it from different angles, and parked my car to head into Starbucks, I noticed three bank employees congregating around the poem. 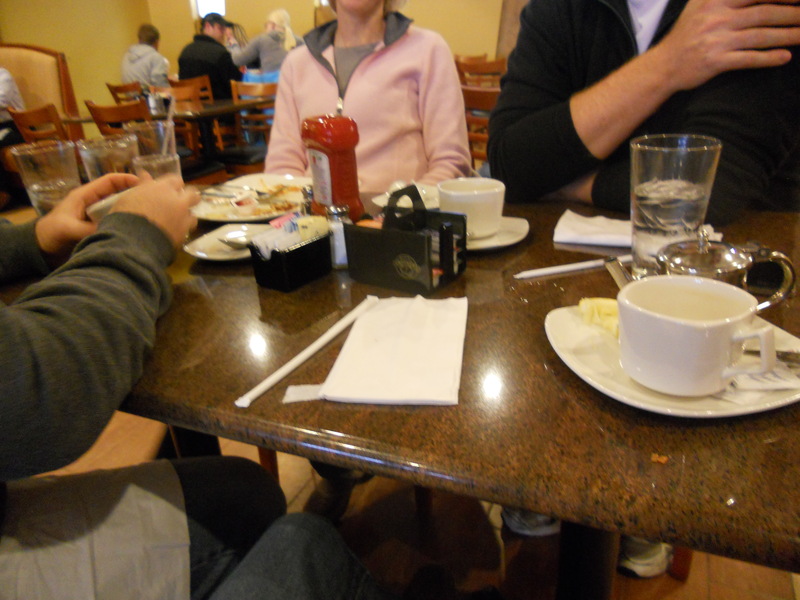 They must have seen me circling and taking pictures. With visions of security cameras in my head and no idea how these bankers would react to what could be called vandalism by poetry, I ducked. Yes, I ducked down in my front seat. When I came back up, they were gone and so was the poem. If I resist fussing with radio stations, I find long drives conducive to reflection and analysis. 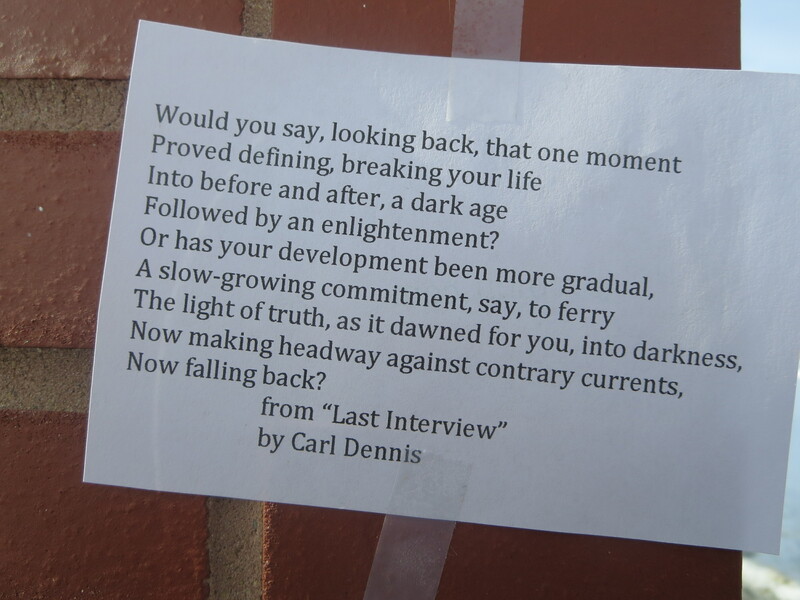 Last week I drove back to Michigan after visiting my mother in Maryland, and this excerpt from Carl Dennis’ “Last Interview” was something to chew on (along with my french fries and roasted almonds). 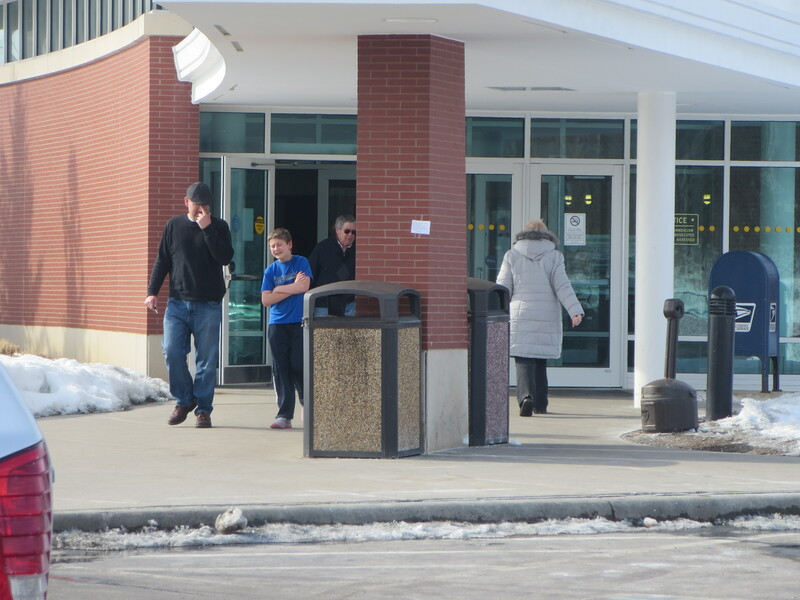 I left it at a rest stop on the Ohio Turnpike, on the brick pillar above the trashcan.